The news is dominated by reports of inhumanity and tragedy. Things seem to go from bad to worse and hope is hard to find. What is wrong with the world? Despite technological progress, humanity cannot overcome the senseless strife that plagues every generation. Into this world comes breaking good news. 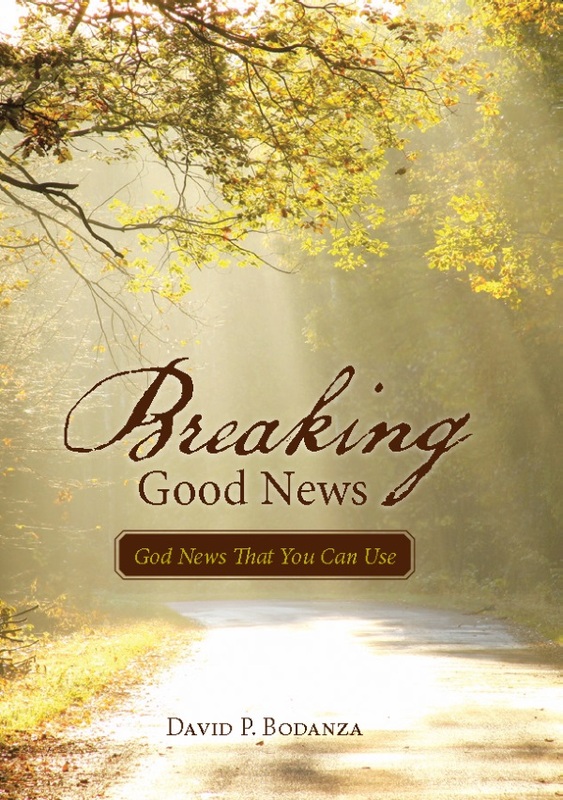 The good news is God news! God the Father so loved the world that He sent His one and only Son Jesus to rescue us from sin and eternal punishment. Many Christians know this good news but keep it to themselves. This doesn’t have to be The good news is too good to not share. Bodanza gives us an example of sharing the good news from his weekly column in a hometown newspaper. Use it to speak boldly or give it to another to read. The gospel message is timeless and speaks to the ultimate issue of our lives. The souls of men! Eternal things! All of the utmost importance, their value beyond estimation, their danger beyond conception, and their duration equal with eternity. These, my dear friend, we have to do with; these we must give account of … Pray for me and God help me to pray for you. It is a symbol you see everywhere. It is on churches, on top of steeples, on necklaces and even tattooed on people’s bodies. It is the cross. The Christian cross. Have you ever wondered what this prevalent symbol really means? For some, it is just fad or fashion. For many, it is religious devotion. For most, it is the universal symbol of Christianity.